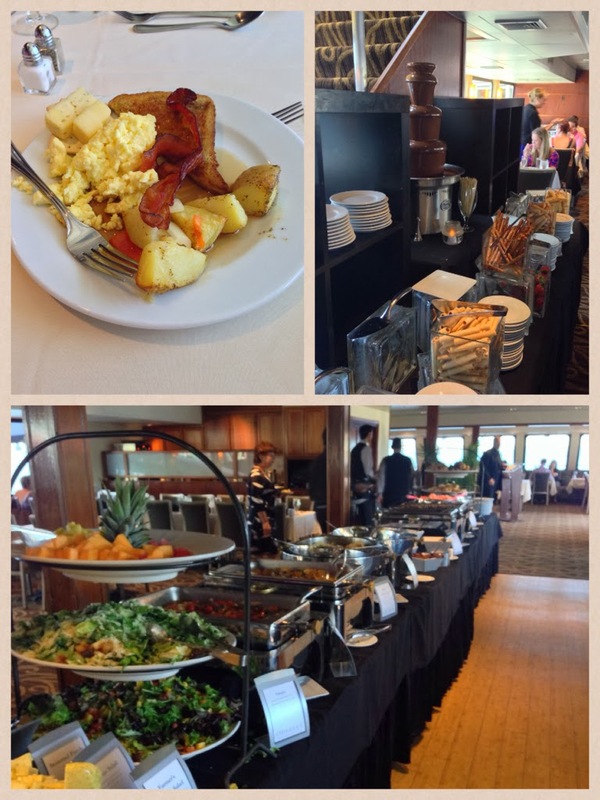 Queen Beans and Wannabes: Bloggers’ Brunch on the Odyssey Cruse! A few beautiful Sundays ago, I was very fortunate to be invited (and able to snag a last minute ticket) to a Bloggers’ Brunch on the Odyssey Cruise hosted by @blogandtweetbos. The day could not have been any more spectacular for a cruise, and being I've never been on the Odyssey before, made the day even better. We began boarding around noon time where we walked right over to our own ‘bloggers’ section. 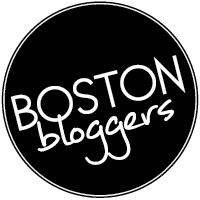 There I started chatting with Joselin Mane, the face of Boston Tweet Up, (someone who I've been following on Twitter for quite some time but never actually met in person), it was a bona fide Twitter Celeb sighting. I was also able to catch up with Jil from Big City, LittleKitchen, whom I've met before at the Studio Empower blog event, (I really need to put blogs and faces together, I’m always forgetting who’s who!). 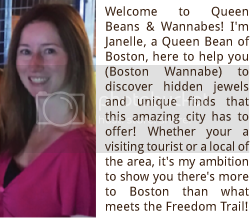 I also was able to “officially” meet Erica of Boston Rookie, another blogger I've been following on Twitter but had yet to actually meet in person. That’s what I really enjoy about these events, meeting different bloggers you follow on Twitter and learn more about them. The food was absolutely amazing; of course I can only speak for all the breakfast food I ate, but everything from the smoked salmon to the carving station to even the dessert section and the magnificent CHOCOLATE FOUNTAIN looked and tasted delicious. ...I just took the picture half way through! Chocolate Fountain + Selection of Food = AMAZING!! After eating (and drinking a few of the complimentary champagnes), I ventured upstairs to the newly removed 3rd floor deck. 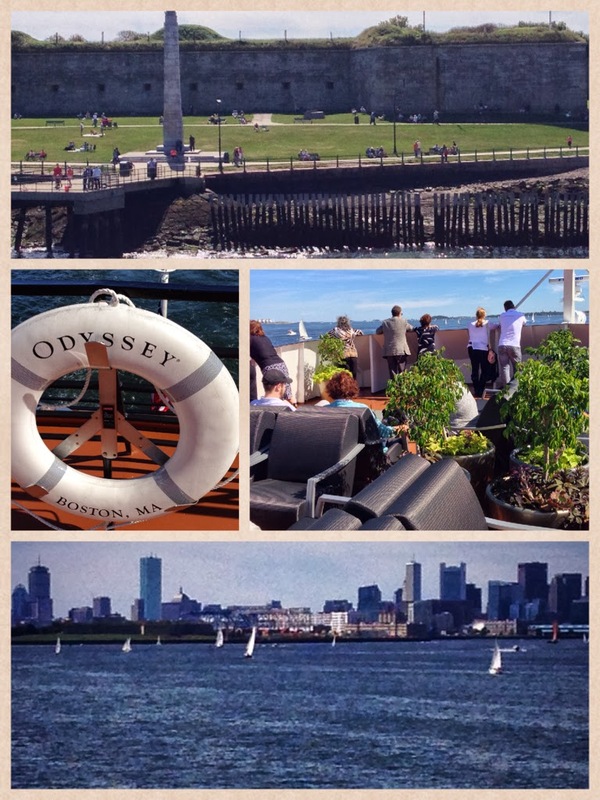 Although I've been on a few other Boston cruises before, and have seen the Boston Harbor views, for some reason, the views looked different being on such a beautiful cruise. The deck had plenty of large, comfortable chairs to relax on grab some sun and have a glass of red wine. and how beautiful the views were! Unfortunately, all good things need to come to an end… and so did our cruise. I had an amazing time overall, delicious food, relaxing atmosphere, but most of all; I enjoyed meeting all the different bloggers that day. All the bloggers I have met are all incredibly nice and open whenever I ask them how they got their blogs stared and any advice they may have for a ‘newbie blogger’ like me. It’s great to be part of a community like this, and I always look forwarded to the next event and meeting other great people. In case you’re wondering: Odyssey Cruise does a weekend brunch cruise, ‘Skyline’ Lunch Cruise and themed dinner cruises- ‘Twilight’ & ‘Starlight’ Dinner Cruises. So if you’re looking for a perfect place for date night (*ahem*, I hope the BF is reading this! 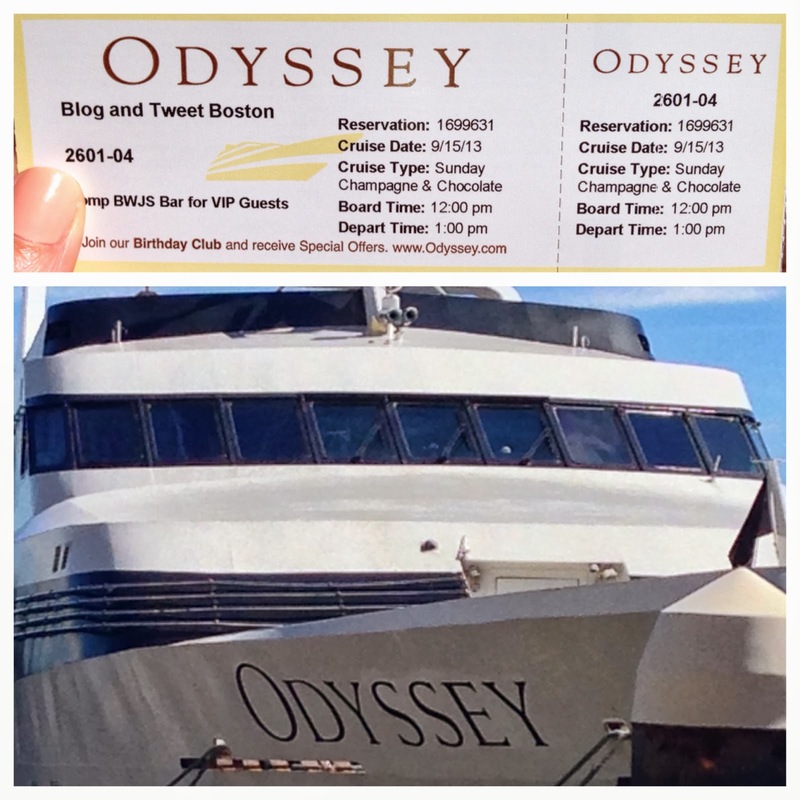 ), then try an Odyssey Cruise for a night (or day) you won’t soon forget!